Felony burglary charges in Washington can vary quite a bit. Burglay can range from a C felony to an A felony. It can be charged in certain domestic violence charges or it could include an otherwise simple shoplifting incident. However, all burglary charges involve the same basic scenario of unlawfully entering or remaining in a building with the intent to commit a crime therein. A burglary charge can result in only a few days in jail, or it might send you to state prison for several years. An experienced burglary lawyer in Vancouver WA can help you understand what your burglary charge might hold in future and help you fight the charges. Call Priest Criminal Defense today to get the help of a burglary attorney today. There are three types of burglary charges in Washington, Burglary in the Second Degree, Burglary in the First Degree, and Residential Burglary. 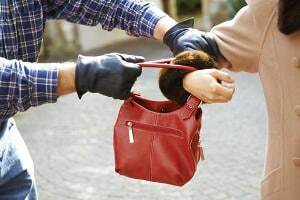 Charges of Residential Burglary can also be domestic violence charges, when a person unlawfully enters a former dating partner or spouse’s home and commits a crime therein, like Assault, Harassment, or Malicious Mischief. The specifics of each type of burglary are as follows. Burglary in the Second Degree is a class B felony with a maximum penalty of 10 years in prison and a $20,000 fine. A conviction for the crime requires proof beyond a reasonable doubt that, in Washington, a person enters or remains in a building (other than a vehicle or dwelling) with the intent to commit a crime against a person or property therein. According to the 2014 Sentencing Guidelines, a conviction for Burglary in the Second Degree will generally be punishable by as little as one month in jail or up to sixty-eight months in prison, depending on criminal history scoring. while entering, being inside or during immediate flight from the building, the person is either armed with a deadly weapon or assaults a person. Per the 2014 Sentencing Guide, sentences typically range between fifteen months and one hundred sixteen months depending on criminal history scoring. Any Burglary in the First Degree may also be charged with a special allegation of sexual motivation. Sexual motivation means that one of the purposes for committing the crime was for the purpose of sexual gratification. To be convicted of Burglary in the First Degree (Sexual Motivation), a jury must find beyond a reasonable doubt that the elements of Burglary in the First Degree and the special allegation of sexual motivation have all been proven. If convicted, the standard ranges apply at sentencing plus the sentencing court will tack on an additional twenty-four months of prison. Residential Burglary, like Burglary in Second Degree, is a Class B felony, so both burglary charges carry the same maximum penalties. However, standard sentencing ranges are typically higher for Residential Burglary than its second degree counterpart. To be guilty of Residential Burglary, one must enter or remain unlawfully in a dwelling (other than a vehicle) with intent to commit a crime against a person or property therein. Standard sentencing ranges as of 2014, ranged between three months jail and eighty-four months prison. As you can see, a burglary conviction can be devastating. Enlisting the help of an experienced burglary attorney can be vital to getting the best outcome. Priest Criminal Defense is a burglary attorney offering a free consultation on every case. We offer flat fee services and even make payment plan arrangements in certain cases if you cannot afford the entire retainer upfront. Don’t go it alone. Call today.